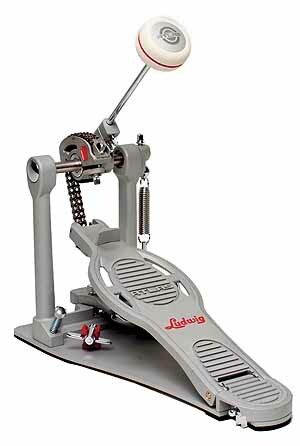 Ludwig Atlas Pro Hardware | New for 2012 Atlas Pro Hardware will set a new standard. 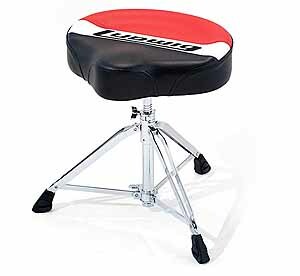 Buy online or for sale in our shop. 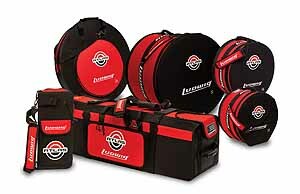 The Ludwig Atlas Pro hardware line is heavy weight durable hardware engineered for performance for heavy players who travel extensively. A completely new design and re-tooling provide functional eye catching hardware built for the road. 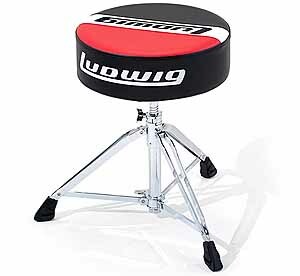 The Atlas pro uses nylon tubing at each tier of the stand extensions while the feet use vibration reducing rubber to create a stand system that eliminates stand vibration allowing drums, snares and cymbals allowing maximum projection. 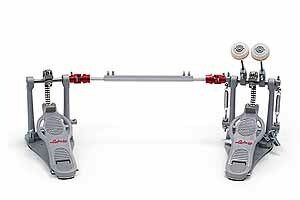 Innovation continues with the Aerodyne tilter which acts as a gearless dual access rotating positioning system that places cymbals anywhere you want securely locked at any angle. The Atlas tube joint clamp delivers rock solid grip with minimal stress to support tubing. New more durable chrome and a Keystone logo wing screws make this hardware as visually appealing as it is functional. 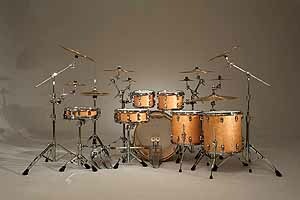 Atlas Pro hardware is new for 2012 and a perfect for any kit including the Ludwig Legacy, Classic Maple and Keystone kits. 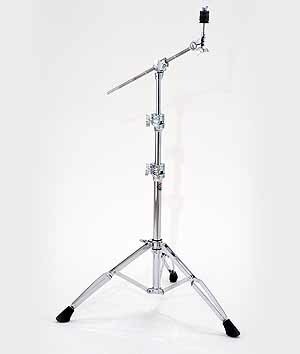 Atlas Pro Snare Stand LAP22SS is designed to enhance your snares natural tones. 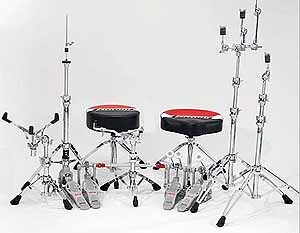 Features a fully adjustable snare basket and Areodyne Tilter dual axis positioning system. 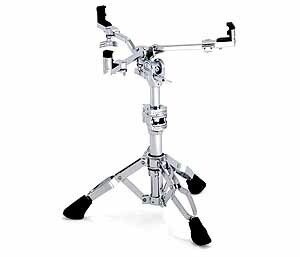 Atlas Pro Snare Stand LAP23SSL features a Pillar Clutch Snare with a folding and detachable snare basket for fast tear downs and very compact storage. 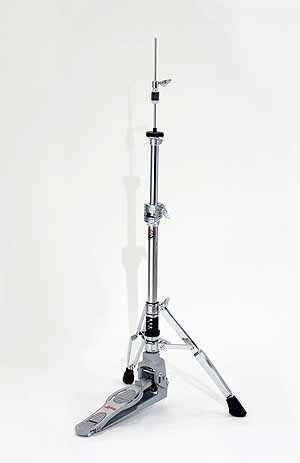 Atlas Pro Hi-Hat Stand LAP16HH The patent pending Centroid stability system provides better stability than most two leg hi-hat stands as well as unsurpassed feel and control. 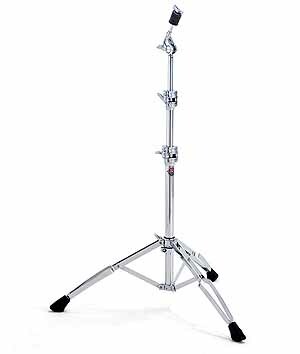 Atlas Pro Cymbal Straight Stand LAP27CS features the Areodyne Tilter gearless dual action positioning system, vice-grip tube joint and memory lock for the ultimate cymbal stand. 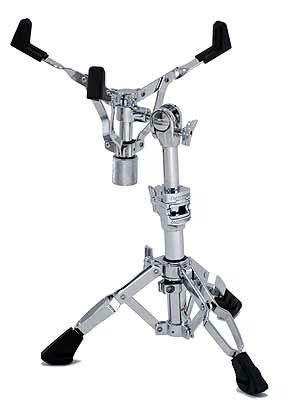 Atlas Pro Cymbal Boom Stand LAP37BCS uses the Aerodyne tilter, vice-grip joint and tripod memory lock with vibration reducing feet for a superior boom stand.. Atlas Pro Single Pedal LAP15FP and Atlas Pro Double pedal LAP12FPR offer the stability, balance, speed precision and power you need. 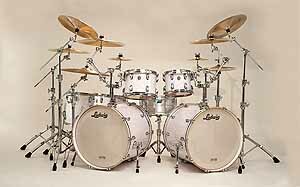 on Ludwig Kit with Pro hardware.